I’ve found that the patty/burger complex is one of the categories of food where I can make my culinary artistry blossom the most. 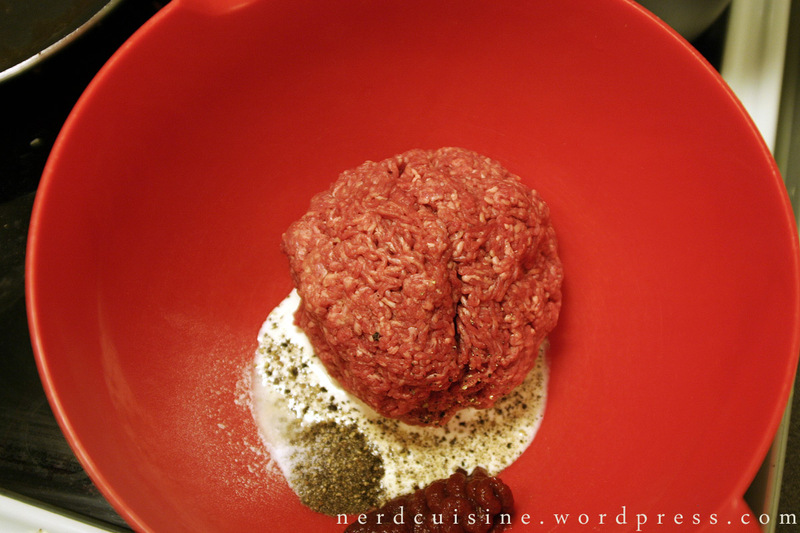 Ground meat is a blank canvas waiting to be painted in vivid colors (but with a spatula instead of paintbrush). In short, the possibilities are endless. But to be fair, the inspiration for this post is cabbage. I bought a chunk of red cabbage for the Chinese stew and didn’t use very much, woindered what to do with the rest of it, decided on coleslaw and then needed something to serve it with. Since most coleslaws I’ve eaten have been served with burgers and fries in pubs, I didn’t need to think for very long. A pound of ground beef seasoned with salt, tomato paste and a significant amount of crushed black pepper. 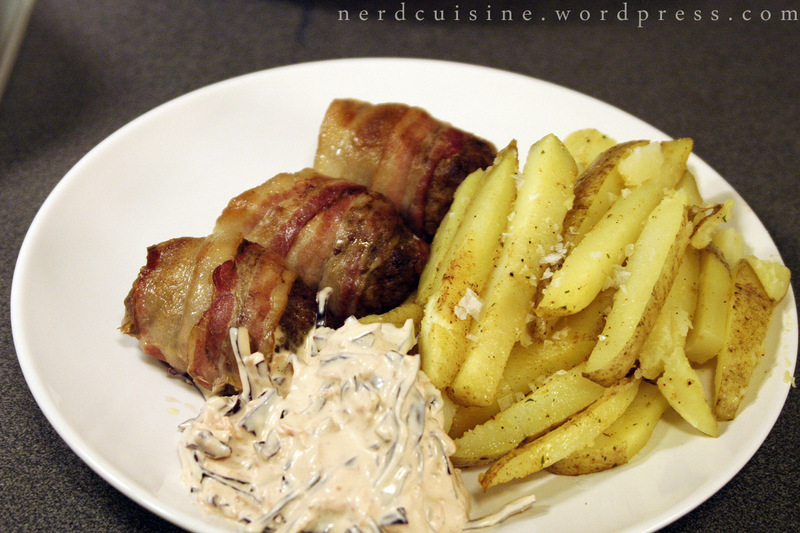 Since ground beef is often rather lean, a couple of spoons of the dairy product known as cooking cream in Sweden (Cream watered down to 15% fat, stabilizer added) goes in to provide some fat and moisture to keep the finished patties from being too dry and chewy. Mix well and let rest for a while. 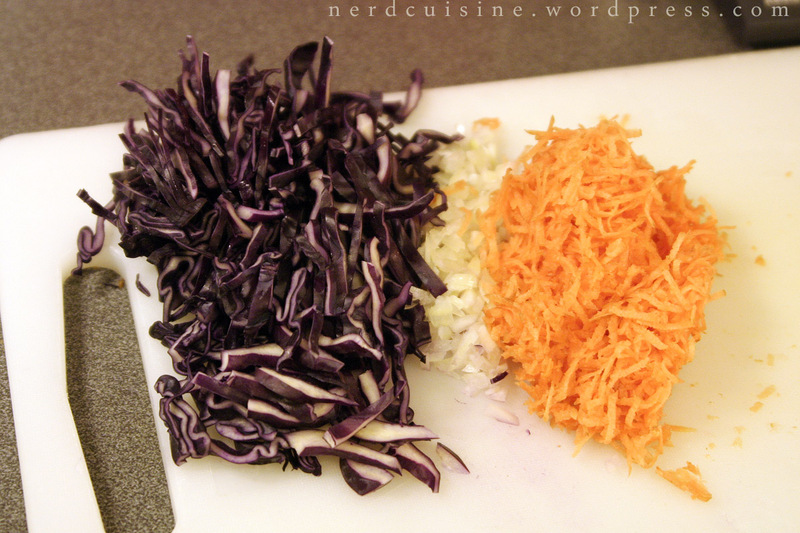 The basics of a coleslaw, my way. Red cabbage, onion, carrot. Mix with mayo, sour cream, salt and pepper. I was obviously too hungry to remember to take a picture of the finished coleslaw before eating it. It didn’t turn as pink as I had hoped but probably would, given a bit more time. Coleslaw in fridge, mince dozing in its bowl. Tuber time! These potatoes were cut into strips, parboiled for just over five minutes, brushed with oil and then seasoned with for example some barbecue mix thingy, powdered ancho style chili and garlic. 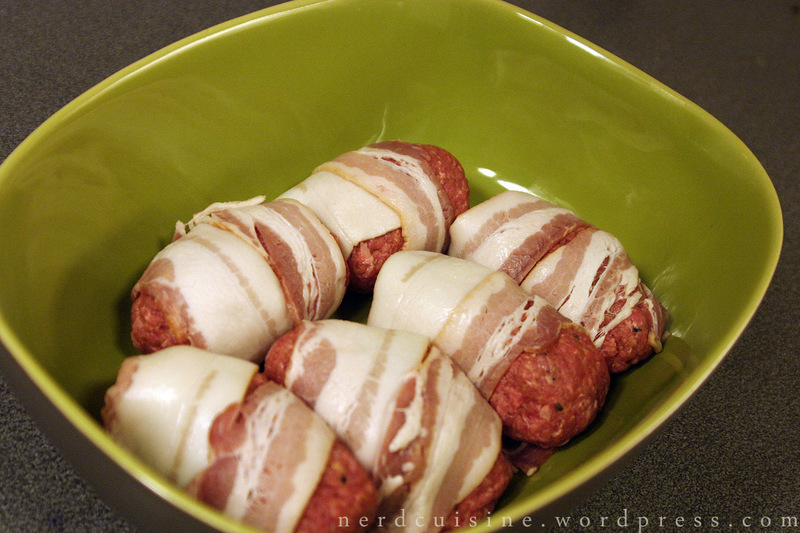 Then just put them in the oven until they look nice. The mince has been transformed into six little patties, huddled together in a dish. The bacon strips have several purposes; to lard the notoriously lean meat a bit, to add awesome flavour and to help the patties stay in shape. 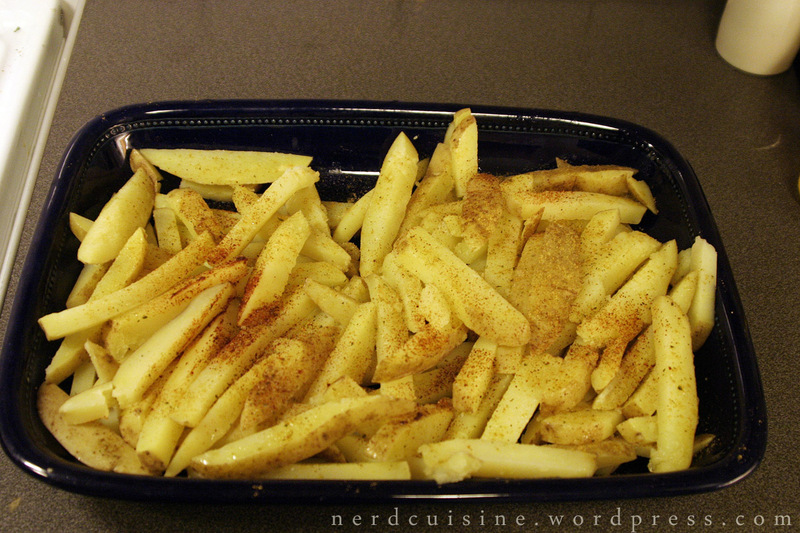 I chose to cook them in the oven (takes about as long time as the potatoes) but they can be pan fried too of course. Done, served and eaten with joy!